New research published in Addiction, conducted by researchers from the Universities of Liverpool and Sheffield, highlights the potential benefits of reducing the standard serving size of alcoholic beverages. 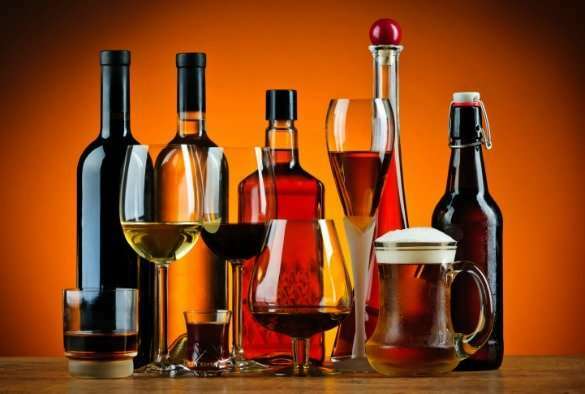 It is well known that alcohol consumption contributes to premature death and ill health, and alcohol-related harm places a substantial burden on society. Many drinkers find it hard to cut down and attempts to cut down often do not lead to actual reductions in alcohol consumption. Therefore, changes to the environment that make it easier for people to drink less could have a substantial impact on public health. One potential environmental influence on alcohol consumption is serving size. Nutrition research consistently shows that portion sizes affect how much a person eats. People eat more if they are given a relatively large portion of food compared to smaller portions, but they do not compensate for this by eating less later on. However, the effect that serving size has on alcohol consumption has not been examined until now. The present research aimed to investigate if reducing the serving size of alcoholic beverages would reduce alcohol consumption. The researchers, led by Dr. Inge Kersbergen from the University of Liverpool, tested the effects of reducing the serving size of alcohol on how much alcohol participants drank in two studies. In the first study, participants were randomized to consume alcohol from standard or reduced serving sizes whilst watching a one-hour TV programme in a laboratory that looks like a living room. Standard serving sizes contained 2.07 units per serving (equivalent to a pint of weak lager) and reduced serving sizes contained 25% less than the standard serving. In the second study, participants were invited to one of four pub quiz nights in a local bar which only sold standard vs. reduced serving sizes. Standard servings were pints and 175ml of wine ('typically served as a medium glass in pubs') and reduced servings were 2/3 pints and 125ml of wine ('small glass'). Drink prices were adjusted to make sure that the standard and reduced serving sizes were the same value for money. Researchers observed how much alcohol each participant drank. In both experiments, participants could order as many drinks as they wanted for the duration of the experiment. This means that participants drinking from reduced servings could compensate for the smaller serving size by ordering more drinks if they wanted to. The researchers found that participants who were served relatively smaller servings drank less alcohol in a single drinking session than participants who were served standard servings. In the first study, reduced serving sizes led to a 20.7% – 22.3% decrease in alcohol consumption over a one-hour drinking period in the 'living room' lab. In the second study, reduced serving sizes led to a 32.4% – 39.6% decrease alcohol consumption over a longer drinking period (up to three hours) during the real-life pub quiz. Based on the results the researchers used the Sheffield Alcohol Policy Model to estimate that reducing the standard serving size of beer, wine and cider in bars and restaurants by a quarter would lead to 1,400 fewer deaths and 73,000 fewer hospital admissions every year. Dr. Kersbergen, said: "These studies are the first to demonstrate that reducing the serving size of alcoholic beverages prompts reductions in alcohol consumption. "The typical serving size of beer in the UK of a pint is larger than many other countries and the size of wine servings in UK bars and restaurants has increased in recent decades, so there is room for serving sizes to be reduced without making them unrealistically small. Reducing the standard serving size of alcohol in bars and restaurants may be an effective way to reduce alcohol consumption at the population level and improve public health." Professor Matt Field, a University of Liverpool researcher who was involved in the study, added: "Reducing the standard serving size of alcoholic drinks could automatically prompt people to drink less, even if they are not motivated to cut down. But at the same time, the total amount that people consume would remain completely their own choice." Dr. Eric Robinson, a University of Liverpool researcher who was also involved in the study, said: "Our research showed that people do not seem to compensate for the smaller servings by ordering more drinks on a single night and it seems unlikely that any further compensation would happen, but future research is needed to find out if people may compensate in other ways, such as drinking more often or getting stronger drinks." The full study is titled "Reducing the standard serving size of alcoholic beverages prompts reductions in alcohol consumption." Q&A: Is daily drinking problem drinking?